Attention to detail in studio, very clean, best accommodation in Siteia. Studio had more in to make stay a fantastic experience. Location was fine. Could walk to Sitia (20 min). Room was basic - getting a bit tired but ok.
New, clean, and nicely furnished with comfortable bed, large bathroom and good kitchen. Balcony with seaview! Great and helpful staff especially Ioanna. 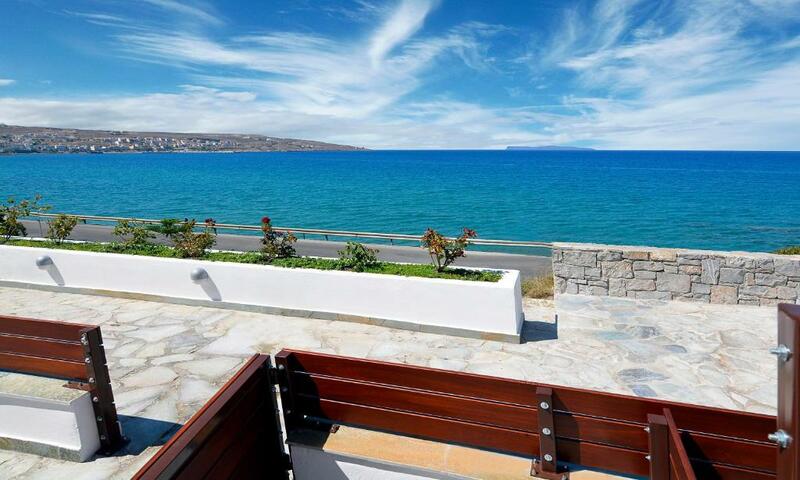 This is a great location just outside of Sitia, very close to the sea. The apartment is spacious and modern, with a great kitchen and bathroom, and comfortable bed. Clearly one of the best I have ever been.the view of the sea is spectacular.Very modern, spacious,and refurbished with taste.The cleanliness is to be commended.Ellie is very assisting,yet you may enjoy your stay in privacy. I definitely would reccomend at least a ten day stay there. Great view, very near to sitia and to beautiful beaches, very clean,spacious appartment with a handfull of amenities and a large terrace with enough privacy.The owners, Elli and Vasilis were very polite and helpfull and Aggeliki was a welcoming smile and presence each morning!thank you all for your tips!a great place to relax!we really enjoyed our stay! Great value for money. Ideal for families with young children. Don't miss the isolated beaches in the east side of the island (ask Elli - the owner - for suggestions). Spotlessly clean spacious apartment. Wonderful owners that really gave the personal service and welcome including leaving water, beer and Raki on our arrival. They also offered great advice on where to go and where to find the best beaches. Highly recommended. 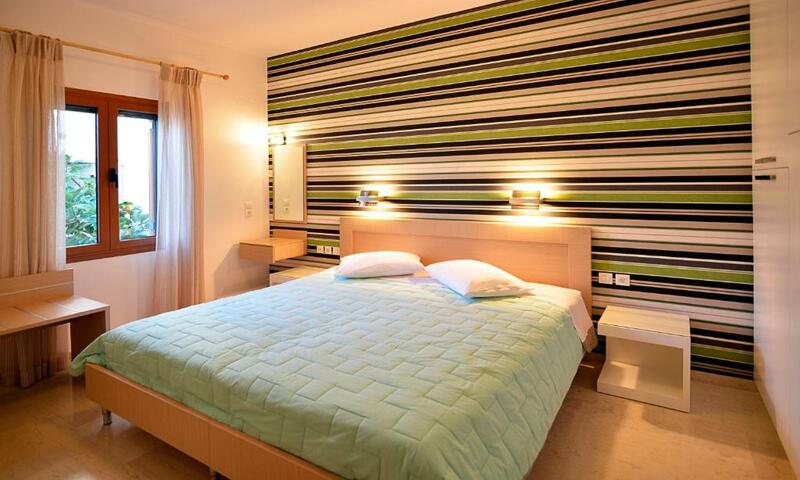 Lock in a great price for Simon Studios and Apartments – rated 9.6 by recent guests! One of our best sellers in Sitia! Perched on a hill overlooking the sea and Sitia Bay, the family-run Simon Studios and Apartments are located in Sitia. 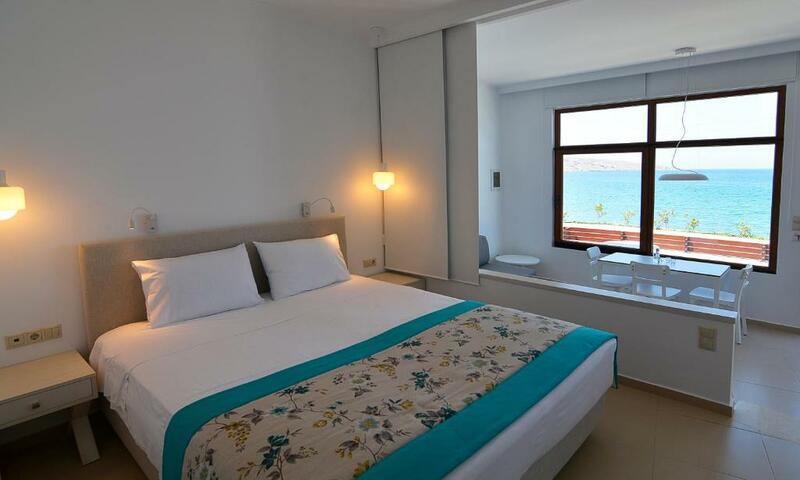 They offer fully equipped studios and apartments with beautiful city and Aegean Sea views. A kitchen with stove, fridge and dining area is included in all units at the Simon Studios and Apartments. Each comes with a satellite TV. Free WiFi is provided. The center of Sitia is 2,650 feet away, while Sitia Airport is at a distance of 1.2 mi. The famous palm-tree beach of Vai is less than a 20-minute drive away. When would you like to stay at Simon Studios and Apartments? Free private parking is provided upon availability. Simon Studios & Apartments is a lovely property, trying to set new standards in guest hospitality. Our family manage this property with respect and care to our guest's needs. We give great importance to details as we try to make you feel like your home. For us what counts is the happiness of our guests. Simon Studios & Apartments located next to the sea, out of the hassle and bustle of the city, but still so close to it. It resides next to "Petras" archaeological site and its only 800 meters from the city center of Sitia and 20 minutes driving from the famous "Vai" palm beach. House Rules Simon Studios and Apartments takes special requests – add in the next step! Simon Studios and Apartments accepts these cards and reserves the right to temporarily hold an amount prior to arrival. Please let Simon Studios and Apartments know your expected arrival time in advance. You can use the Special Requests box when booking or contact the property. Please note that free parking is possible and subject to availability. Please inform Simon Studios and Apartments of your expected arrival time in advance. You can use the Special Requests box when booking, or contact the property directly using the contact details in your confirmation. Wish could have stayed longer. Super big and comfortable bed, very very clean apartment, nice view. The car-parking is limited and difficult, and our was only a small car! Some painted lines / bays would help! A really bright, clean modern apartment with excellent facilities - one of the nicest rooms in many years of touring different countries. Air con and wi-fi excellent. Some might think the walk into town for evening meals\bars a little tedious, especially so as the sea defenses are currently being renovated - take a torch. Not really suitable for those who want a passive beach holiday. Well designed modern studio apartment. Very clean and tidy. Very good interactions with reception. Good location if exploring North Eastern and South eastern Crete by car. Nothing. Everything is shiny new and just perfect! Great hospitality! Ellie, the owner, takes care on everything so you leasure time will be comfortable and private. The staff is very welcoming and will get all possible advices on where are the best restaurants, which local food to try, where all those hidden secluded sandy beaches... 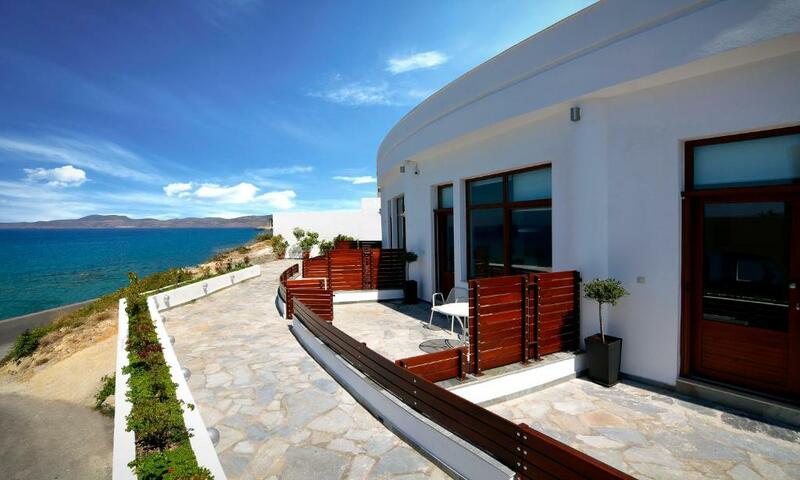 Indeed very convenient location to settle and explore the East side of Crete. Spacious room with all you need. Terrace overlooking the sea and pretty quiet site despite the nearby road. You will get your own parking place right on the site. Just 10 minutes walking from Sitia and restaurants. Would definitely recommend this place for any travelers in the East Crete. Nothing! Note though that it is a 10-15 minute walk into the centre of Siteia along the beach road. Recommend a good torch! Really excellent restaurants on the harbour front and competitively priced. Spacious and comfortable apartment (esp. the bed!). One of the best we have stayed in on our travels in Crete. Would definitely go back when we return to Siteia. Friendly welcome. Good value for money as well as being high quality accommodation. Superb view over Siteia bay. Mildewed shower curtain. Extremely uncomfortable bed.